The 1980s was a weird time for movies. It seems like during this time period that younger kids between the ages of 8-14 were a demographic that was heavily marketed to. While I concede that films of today like anything animated by Pixar or even the Teenage Mutant Ninja Turtles are marketed to kids, it doesn’t seem like the movies are specifically created to speak to them. 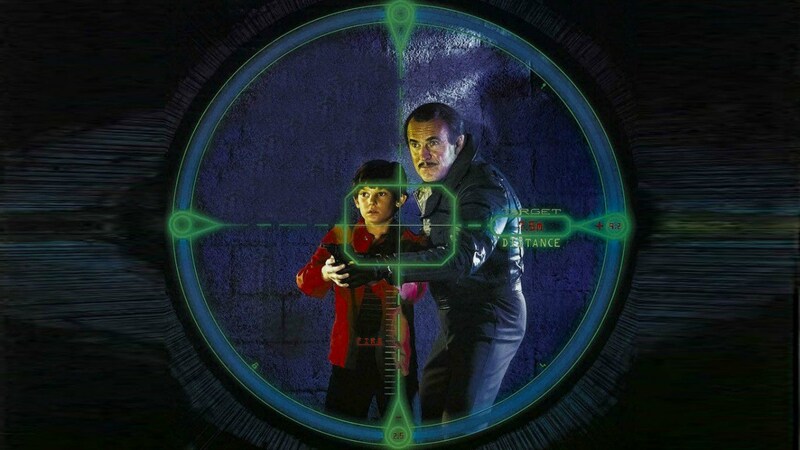 Cloak & Dagger is a film I can’t imagine was marketed for anyone other than young boys that were into G.I. Joe, played video games, and struggled with their parents. So, yeah, every young boy. It tells the tale of an 11-year-old Texas boy named Davey (played by Henry Thomas just after his big debut in E.T.) that is obsessed with a spy role playing game Cloak & Dagger starring a James Bond type named Jack Flack. One day Davey witnesses real terrorists trying to deliver confidential government materials in an Atari 5200 video game cart and of course the world doesn’t believe him because he’s already annoyed them profusely with his imaginary spy nonsense. What I love about this movie is that it speaks to kids at their level and, believe it or not, sneaks in plenty of after school lessons that will hopefully better equip them for handling the real world. If you are into brand marketing the way we all were in the 80s, you won’t be able to ignore the glut of Atari references. This film released in the summer of 1984, which is quite an ironic time to have a film engulfed in Atari marketing since the crash of 1983 was in full effect. I’m sure when it was filming and when the deals were signed, this was at least a year earlier when Atari ruled supreme. Nowadays you will want to watch this film not because of its entertainment merit per se, it is still a movie made for and talking to pre-teens, but more because of the hybrid of going back to your youth and nostalgia for the time period.